Submitted photos “For Love of the Birds and the Bees,” digital painting by Kathy Moulton. “Three Butterflies,” watercolor, 16” x 20” by Libby Rudolf. The gallery invites artists from Yellow Springs to Dayton and surrounding vicinities to enter up to three original 2D and 3D art pieces – in any media – that reference the theme of the exhibit. Entry forms are available in the gallery and on the gallery’s blog and facebook site. Artwork, entry forms and fees are to be delivered to the gallery in person on 11 a.m. to 6 p.m. Saturday, May 11 or noon to 5 p.m. Sunday, May 12. The entry fee is $10 for one and $5 for each additional piece. The show runs Thursday, May 16 through Friday, June 21 with a closing reception slated for 6-9 p.m. Friday, June 21. In 2007, the U.S. Senate unanimously approved the designation of a week in June as “National Pollinator Week,” marking a necessary step toward addressing the urgent issue of declining pollinator populations. Since then, Ohio has proclaimed the third week of June for this purpose state-wide, and the U.S. Department of Agriculture and the U.S. Department of the Interior, teaming up with the Pollinator Partnership, have proclaimed National Pollinator Week this third week as well. The mission of Pollinator Partnership, https://pollinator.org, is “to promote the health of pollinators, critical to food and ecosystems, through conservation, education, and research.” National Pollinator Week is a time to celebrate pollinators and spread the word about their value to ecology and what individuals can do to protect them. This week has now evolved into an international celebration of the critical services provided by birds, bees, butterflies, bats, beetles and other such critters. Village Artisans is located at 100 Corry Street in Yellow Springs. For more information, stop into the gallery, call 937-767-1209, email villageartisans.email@yahoo.com or visit www.villageartisans.blogspot.com or facebook. 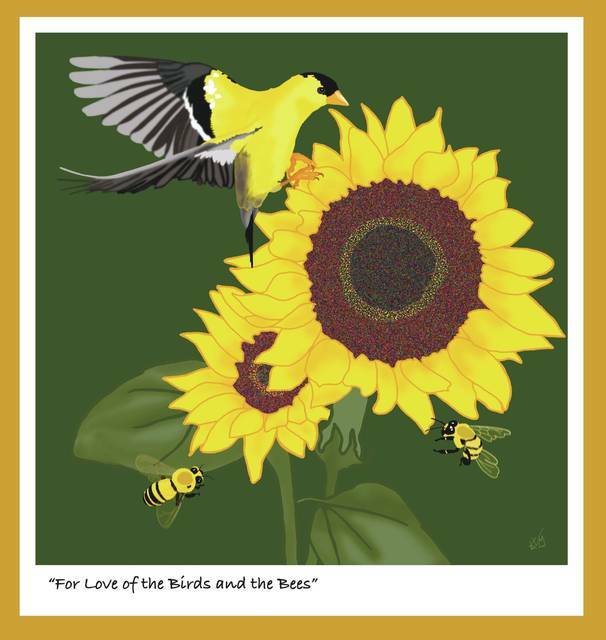 https://www.xeniagazette.com/wp-content/uploads/sites/32/2019/04/web1_VillageArtisansForLove.jpgSubmitted photos “For Love of the Birds and the Bees,” digital painting by Kathy Moulton. 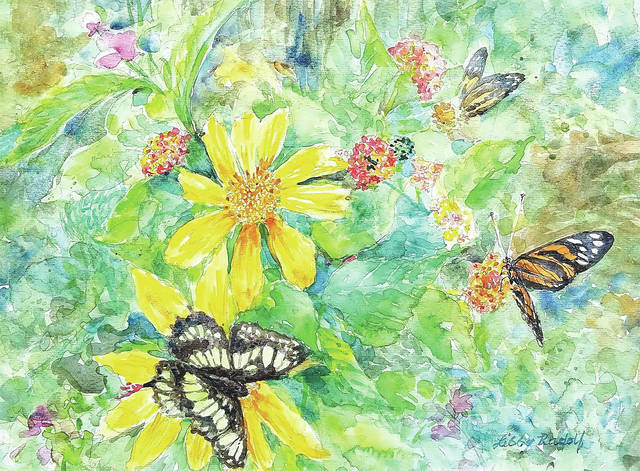 https://www.xeniagazette.com/wp-content/uploads/sites/32/2019/04/web1_villageartthreebutterflies.jpg“Three Butterflies,” watercolor, 16” x 20” by Libby Rudolf.